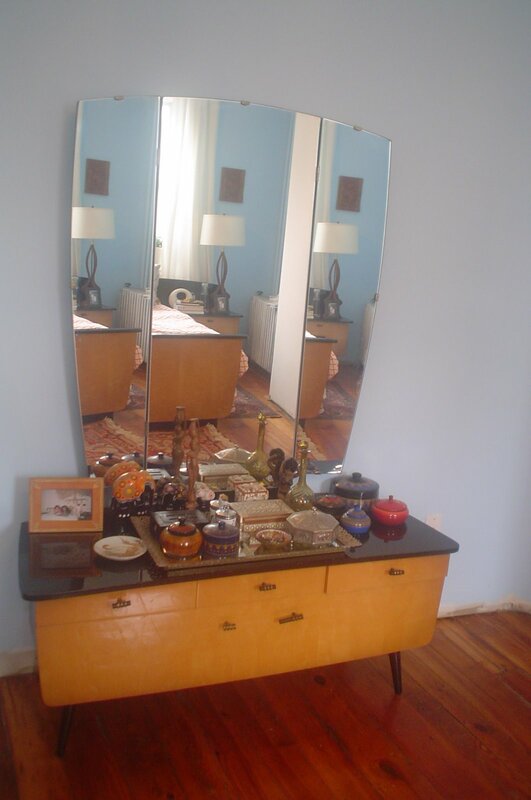 Here’s a picture of the dressing table that goes with all the other bedroom pieces. This dressing table is what caught my eye at the auction. I love everything about it! This is an awful picture but I can’t seem to take any decent pictures with digital cameras. I will post more pictures of the bed (with a mattress) soon. 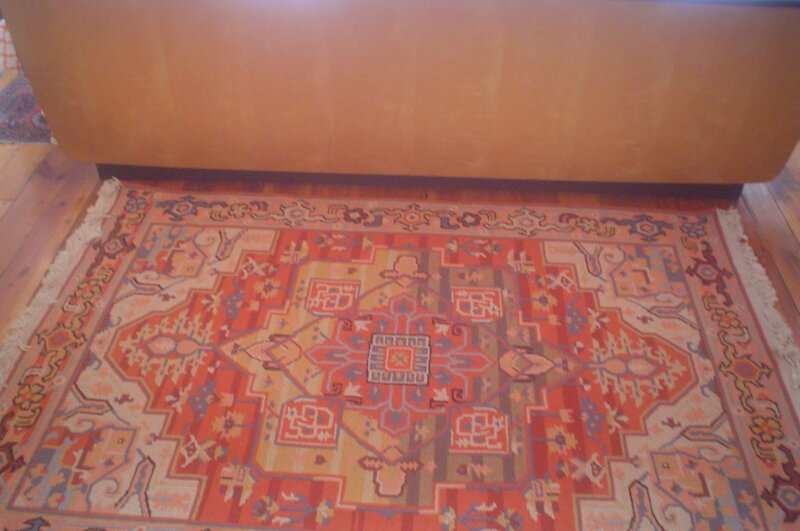 The picture below shows an Afghanistan rug that I got on ebay for about $50!